Eduard Limonov and other prominent opposition figures will not themselves apply for permission to hold rallies in the future. ­The decision was approved by the organizational committee of Strategy 31, an initiative to support the constitution’s article that guarantees the freedom of assembly. To support this right, opposition activists gather on Triumfalnaya Square in downtown Moscow on the last day of every month that has 31 days. However, now Limonov and other opposition “VIPs” will not themselves apply to the city government for a rally to be authorized. 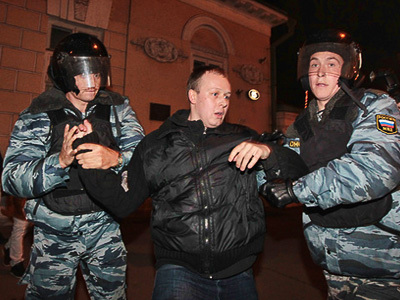 This task will be assigned to other activists, Aleksandr Averin, a member of the executive committee of the Other Russia coalition told reporters on Tuesday. In the past, Limonov used to apply for permission together with Lyudmila Alekseeva, the head of the Moscow Helsinki Group. But their political tandem has broken up, and they recently submitted separate applications. 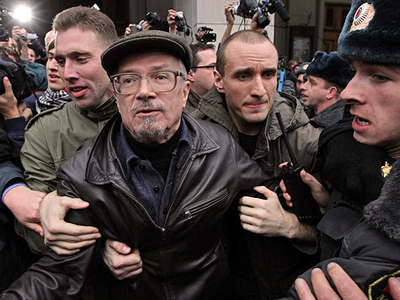 As a result, Alekseeva was granted permission to hold a rally, while Limonov and his supporters staged unauthorized events nearby. 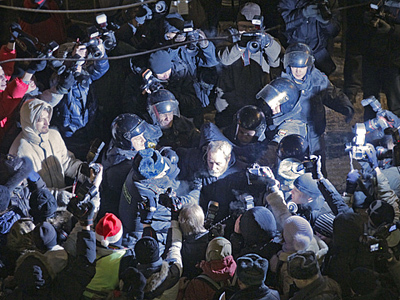 On Monday, Alekseeva and Limonov again submitted applications for rallies scheduled for January 31, but this tactic should be abandoned, Averin said, because it allows the city government to reject one of the applications. Taking into account “the stir around VIPs” representing opposition and human rights groups, in the future, they will not apply themselves, Averin noted. So far it is not clear who will submit applications from opposition groups. 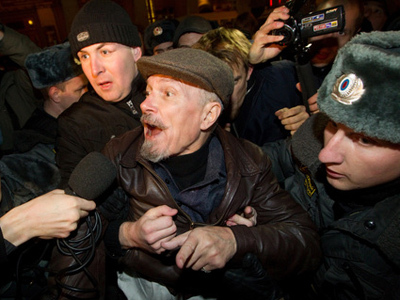 But the changed tactics may help Limonov and other prominent figures to avoid punishment as the organizers of unauthorized rallies, observers believe. 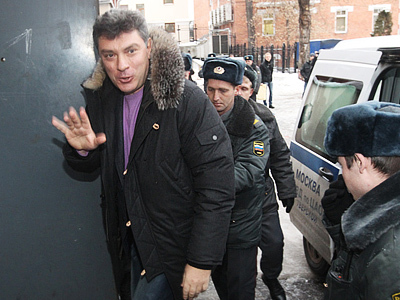 Nemtsov’s lawyers last week filed a complaint to the European Court on Human Rights. 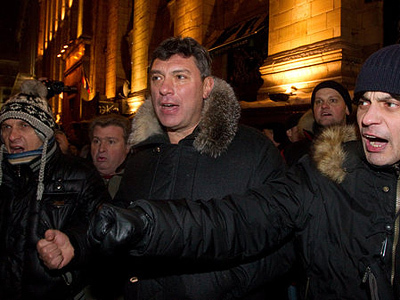 Two days after they were released, both Nemtsov and Limonov said they would continue organizing actions in support of the freedom of assembly.